Yes, Summer! finally! or "not again" for some of us that lives in a tropical climate area. I'm not sure the story would end at part4...? I'm actually planning for a part5 already, but who knows. Maybe the income of this comic will no longer support my life, and I'll have to quit...and it's coming close to that already^^"
However, I hope it's as simple as that. 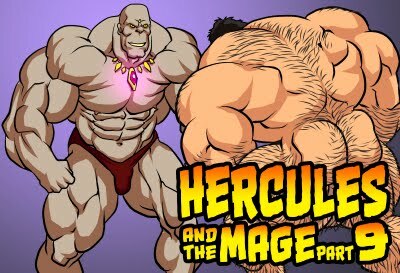 My Hercules comic series is barely supporting my life, and I've been putting most of my time into it on trying to make it work. Most people would probably say, well If I don't spent the money on those expensive travels and tours, it would be more than enough. But, I must say, there are not enough people supporting it, to keep it going. I'm sorry to hear that. You need to travel. You should spoil yourself however you can. I am sure that I speak for most all of us when I say that you deserve it. I'm not sure how long each panel takes, but I would be very happy to sign up for a subscription if you released new work on a regular basis...daily, weekly, monthly. I am sure there are dozens of other options to increase the income from Hercules...commission work, a donation area... Anything to keep our Herc flexing and showing off those muscles! You have so many of us hooked on your great work. We would be devastated if you ever stopped! I'm very happy that the summer is back. Our winter time long and cold. Hi, Mr. Mauleo. Love it! I wish I had a friend like your Hercules, I really really like your character! Lucio could in his despair, grab the great attributes of Hercules and take his underwear. Could we see some day see Hercules wearing suit, tie and glasses, Clark Kent style? I'd like to see him do strip-tease! I loved it! 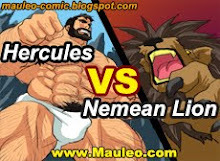 With a teacher like Hercules, Lucien will be soon crossing great distances, but I still would prefer to hug tight onto those humongous muscles and never let go!